Our team of full-time Madison REALTORS focus on all of your buying, selling and investment needs in the greater Dane County area. Take a look at the top navigation to learn more about our services and property search tools, or explore the communities we service below. Interviewing Real Estate Agents in Madison, Wisconsin? Contact us online or by phone at (608) 852-7071. We are not high pressure salespeople. We're consultants who love our chosen field of real estate, and we enjoy helping you make sense of it! Many of your most important aspirations - personal, family and financial - are tied to your home. The most rewarding part of our job is helping you realize those dreams. It's our privilege to assist you with our very best service and advice! Our most popular feature is our online home search. You can browse the listings in Madison and the South Central Wisconsin MLS® area using your own criteria. We offer many advanced search tools that are typically only available to licensed REALTORs, and you don't need to give us your personal information in order to use them. On the other hand, our buyer agents are more than happy to find your next home for you. All you need to do is sign up for our home finder (it's free). One of our experienced Madison real estate agents will provide you with a customized list of real estate listings that meets your most important criteria for your new home. You'll find a complete list of our tools for buyers and sellers on their respective pages. Take a look; we offer a wide range of services that are designed to make the process of buying and selling a home easy on you and your schedule. 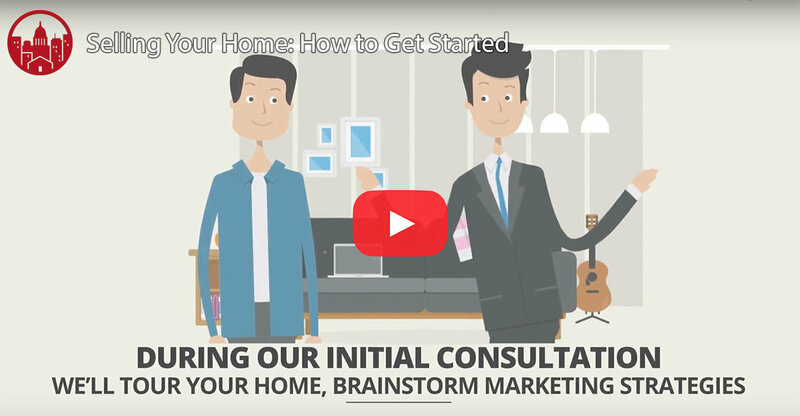 View our short video which explains how to get started with the home-selling process. You can check out our REALTOR reviews online by visiting our Google, Zillow and BBB real estate pages.